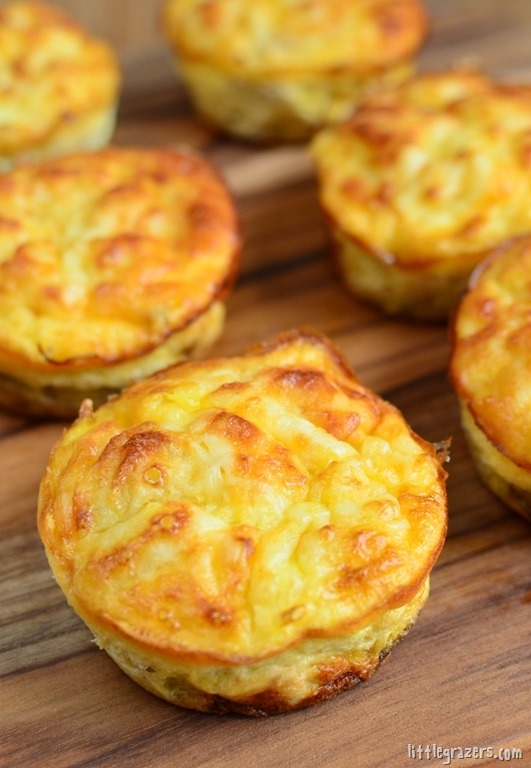 These mini quiches are great for packed lunches, picnics, little ones will love them, but they are equally great for the whole family. Preheat oven to 180c or 350f (gas mark 4). Mix the spring onion, tuna and sweetcorn together in bowl and season with some black pepper. Gently fold this into the tuna mixture. Place in the oven and bake for about 30 mins until cheese has melted and is golden. 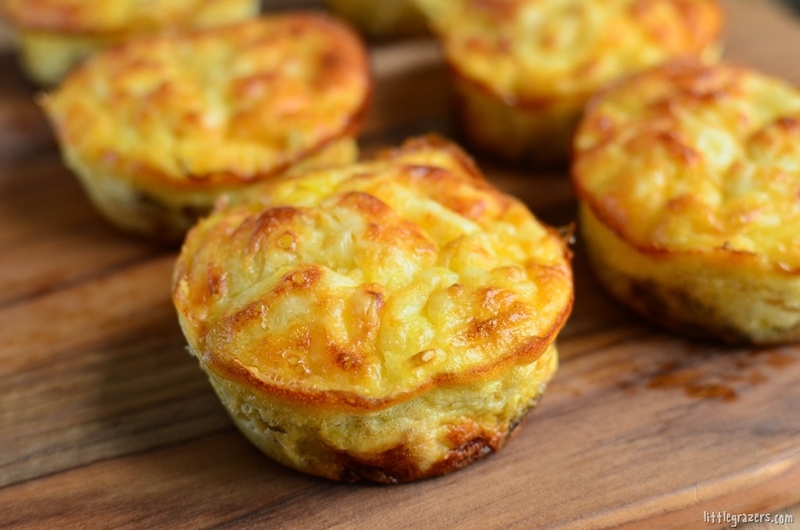 Optional: For a hashbrown base, Add some grated potato to the muffin pan, spray with oil and bake till lightly golden. Then remove from oven and add egg and tuna mixture and bake as directed above. Hi just wondering if you’ve tried freezing these? I’d like to make a batch but don’t want to waste any. Hi I haven’t tried freezing them. I am not sure they would freeze well because of the egg. Hi. This recipe looks great. How long do you think they’ll last in the fridge? A couple of days? Thanks! Hi Anna, these will keep for up to 3 days in the fridge. Do you think I could omit the cottage cheese? I really detest the stuff. Is it possible to substitute it for something else? Hi Caz, you certainly can, but I would recommend increasing the eggs. I must add though, that you won’t even realize these have cottage cheese. I am not a big fan of it either. Hi Rebecca, thanks so much. I like to make my site as user friendly as possible and know how difficult in can be to get used to different measurements, as I moved from the UK to Canada, but also shop in the US (can be quite confusing lol). I hope you have been enjoying some recipes, sorry I took so long to reply. Hi, thanks for sharing this recipe! I just baked it and can say it’s soo tasty. My little one loved it! These were delicious! I froze a few and they were ok but much better fresh! Oh I made with salmon instead as I don’t like tuna. I might try puff pastry bottoms another time. pastry would be great, you can even use some lightly bread. Hi Lexi, just leave out the cottage cheese and add some additional eggs.